You may not believe this is a real cake, but it is. 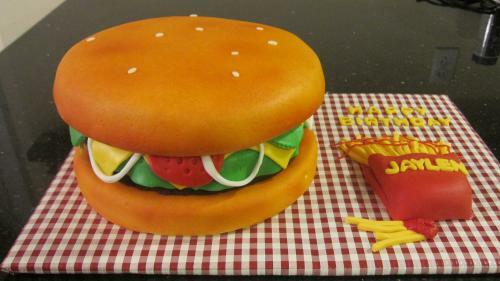 This replica of a a giant Hamburger and fries is all sponge cake with buttercream filling. Have your favorite food transformed into a land of cakes specialty cake.